The beautiful Lough Hyne (left) viewed from the top of the Knockonagh Forest Walk. Lough Hyne is a beautiful salt-water lake situated just 5km from Skibbereen town. There is a long history of marine research at Lough Hyne which makes it one of the most-studied sites in the world. 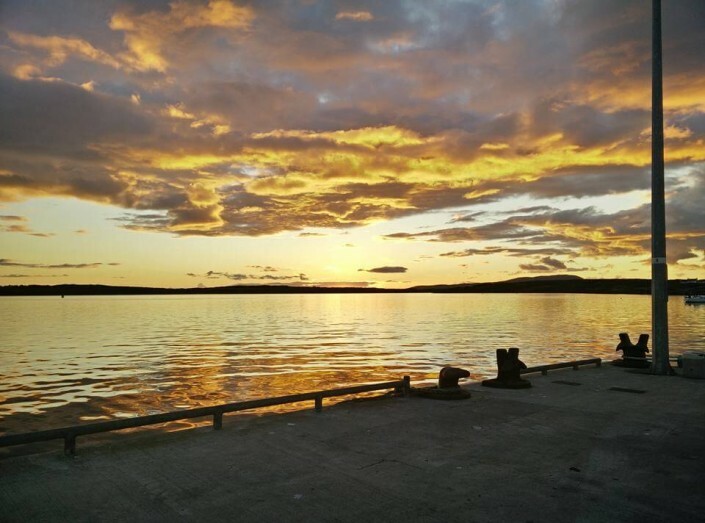 It has a wide variety of marine habitats and species and was designated as Europe’s first Marine Nature Reserve in 1981. This spectacular lake is best appreciated from the top of Knockomagh Hill which overlooks the lough. Follow the nature trail to the top of Knockomagh for one of the best views in all of West Cork. 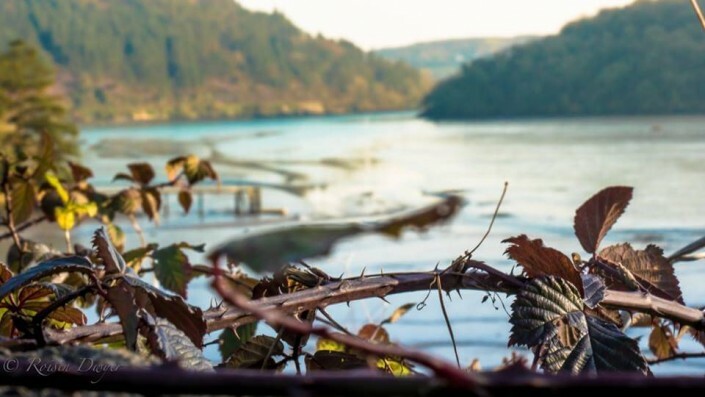 Learn all about Lough Hyne at Skibbereen Heritage Centre before you go there to truly appreciate its unique nature. 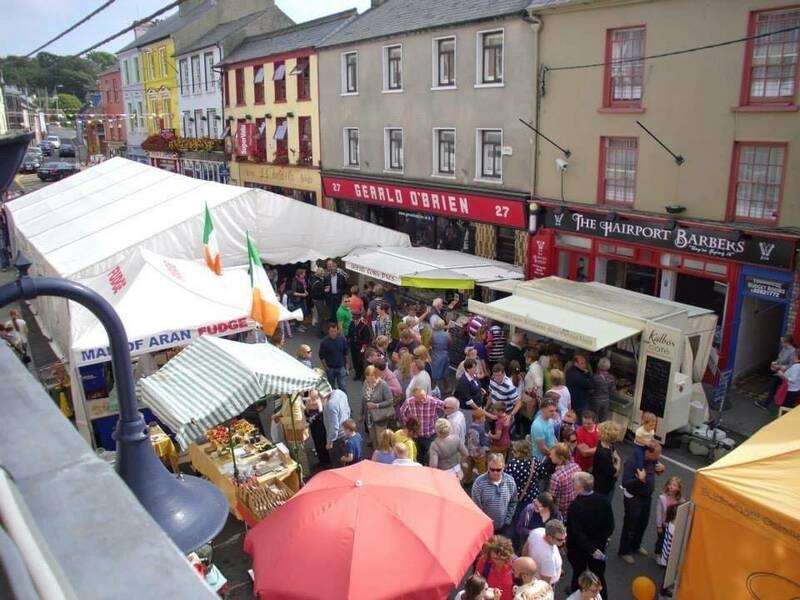 Skibbereen is synonymous with the Great Famine of the 1840s as it was one of the worst affected areas in all of Ireland. Over one million people died and up to 1.5 million emigrated during this catastrophe and Skibbereen became infamous for the suffering endured by its people. Skibbereen is the most important town in Ireland in terms of Famine heritage and this is commemorated at Skibbereen Heritage Centre with The Skibbereen Famine Story exhibition. You can also download a ‘The Famine Story’ walking trail app at Skibbereen Heritage Centre. 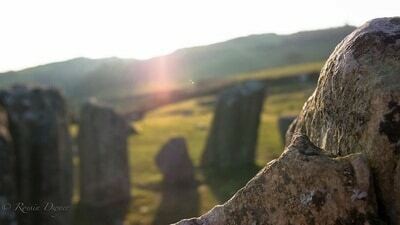 The app uses the voices of the era to guide the walker around Famine sites in the town, including the mass graves at Abbeystrowry where up to 10,000 Famine victims are buried. Ireland’s most beautiful scenery. 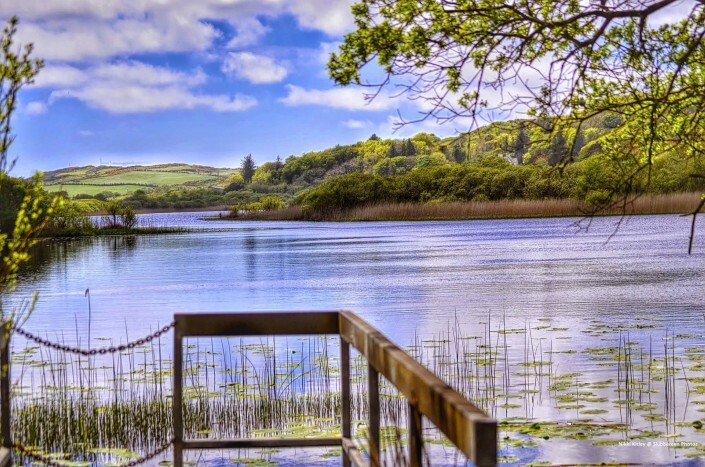 Sandy beaches, secluded coves, fast-flowing rivers, lakes, hills and forests – all easily accessible for walkers, cyclists and drivers and many are within 5km of Skibbereen. If West Cork is the garden of Ireland then don’t miss the most enchanting gardens of West Cork. Lissard is 40 acres of woodlands, wildflower meadows and lakes devoted to creating a better understanding and appreciation of the beauty, philosophy and interacacies of Irish nature (within 1km of Skibbereen). The West Cork Garden Trail takes place annually in June and while many of the gardens are open to visitors throughout the summer, some are open to the public only during the Garden Trail. For the more energetic, Skibbereen offers great leisure facilities. Withing 2km of Skibbereen there is a fine 18-hole golf course at Skibbereen Golf Club which is both forgiving, yet challenging. 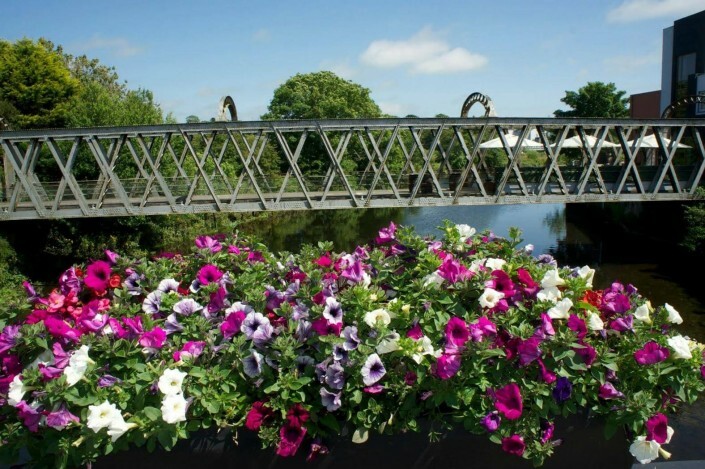 The River Ilen offers salmon and sea trout game angling, from the town centre north for 5km, while the lakes of Shepperton (5km from Skibbereen) offer peaceful coarse fishing in gorgeous surroundings. Sea Angling is available from Glandore, Union Hall and Baltimore. Skibbereen Sports Centre offers tennis, badminton, indoor bowls, soccer, table-tennis, a fully equipped gymnasium plus a sauna. Scuba diving, sailing and watersports are available in Baltimore. Take your pick from the delightful choice of fishing villages. 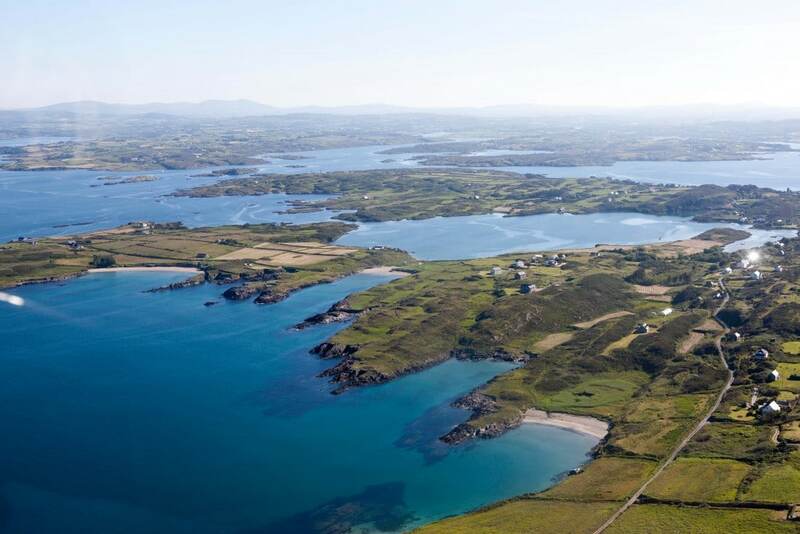 Fashionable Baltimore is the gateway to Sherkin Island and Cape Clear. Don’t miss the castle home of the Townshend family, surprisingly at Castletownshend, the village which provided inspiration for writers Somerville and Ross (and favourite spot of BBC Newsnight presenter Jeremy Paxman). Glandore and Union Hall sit opposite each other across the estuary and both are equally quaint with great pubs and restaurants usually with sea views (all between 5km and 15km from Skibbereen). Above all else, West Cork – and its capital Skibbereen – is famous for its food, its friendliness and its traditional flavour. 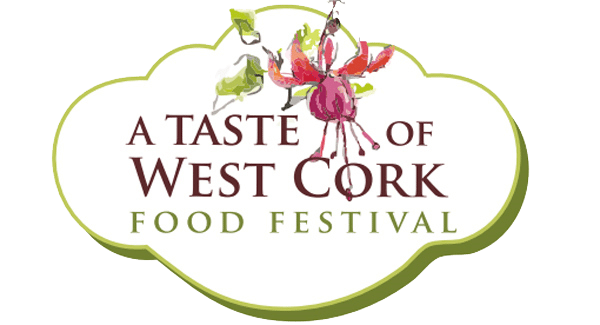 Having now been bestowed the the title ‘Gourmet Capital of Ireland’, West Cork has many first class restaurants that frequently grace the pages of the national press. Almost every village has an award winning eatery… and last, but not least, there’s the people. One thing you can depend upon is the warmth of the welcome you’ll receive from the people of Skibbereen. It’s a friendly town where people have time to stop and have a chat in the shops. 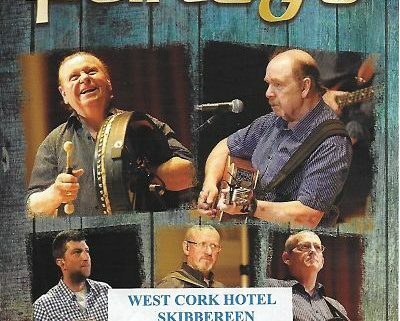 The impromptu sessions of live music as well as top flight performers are always in evidence as part of the lively nightlife that Skibbereen has to offer.